Yes, you can learn to read and play music, in just 3 days! The world's most amazing music teacher returns to Auckland for the 4th time bringing his unique approach to teaching music back to New Zealand on Jan 27-29th 2017. Over 32,000 people worldwide have graduated from this unique approach to learning music, that turns traditional music teaching methods on their heads. Learn notes, chords, scales, plus blues and jazz improvisation on keyboard and guitar! Plus learn how to read any piece of written music! All in just 3 mind-blowing days. Ideal for everyone from complete novices to 'lapsed musicians,' self-taught musicians, professional musicians, even music teachers and music professors. The Understanding Music Seminar has been delivered worldwide for over 25 years. 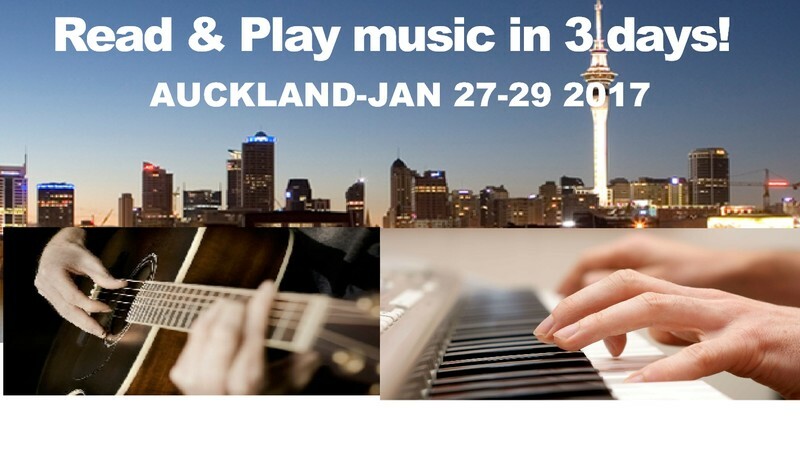 It is fully supported by Musicworks New Zealand who supplies all instruments to the seminar. This unique approach to learning music takes place in a hands-on seminar with like-minded individuals who want to have fun learning music in a collaborative manner. Seminar price includes free DVD and 100 free Lessons from the seminar presenter and creator - Duncan R Lorien. Duncan is a highly credentialed musician who has taught throughout Europe, the UK, the USA and Australia. A former Deputy Head Chorister of the Royal College of Church Music in London, Lorien had two No.1 Albums in the 80s and is an accomplished recording artist and music producer who has worked with major record labels worldwide. Seminar is backed by a 100% no-nonsense guarantee of a complete refund at the end of the seminar if not completely delighted with your results.